Ferdinand Verbiest Institute KU Leuven [Belgium] will in 2019 once again organize a Summer Encounter for Chinese priests, religious and lay faithful studying in Europe & the USA. We are aware that most of them follow programs in theology or bible. Therefore we decided to offer courses in the field of Practical Theology. Courses will be on Social Teaching of the Church, Catechesis, Homiletics and Spirituality. It is an intensive course: 5 hours per day Monday - Friday. On weekends there is one day outing and one free day. 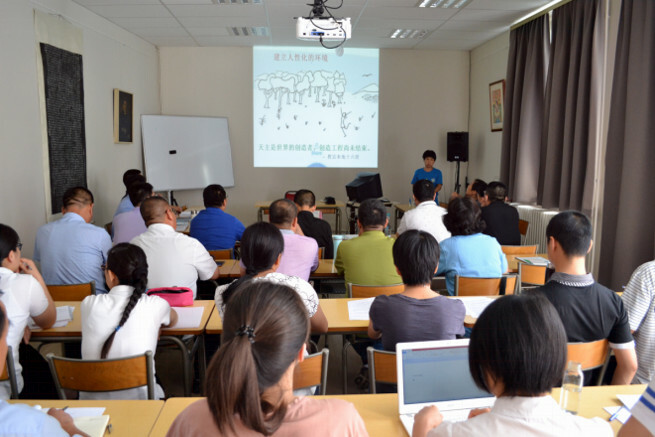 Time & place: the Summer Session will take place from July 29th, till August 30th 2019, in the Chinese College in Leuven, Belgium. Students are expected to arrive in Leuven, Belgium on July 28th, and leave from Leuven on the 31st of August. Language: classes will be in Chinese. Please DOWNLOAD HERE the PDF document for more information.